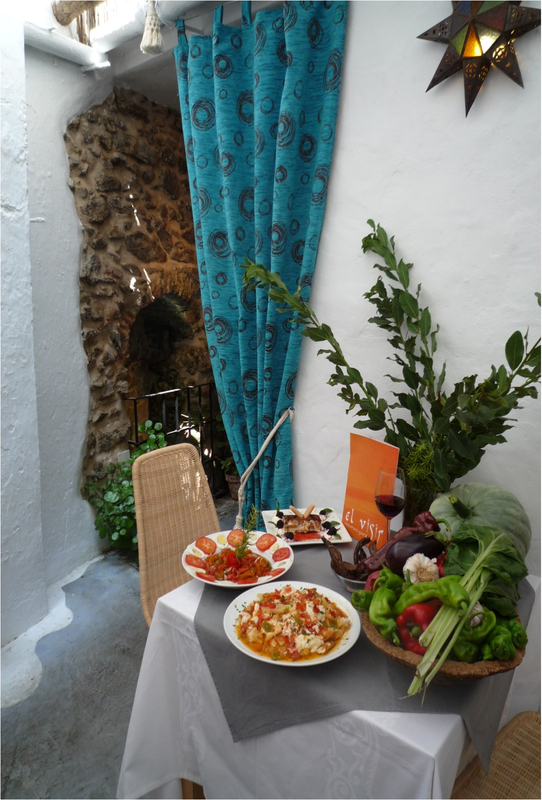 Genalguacil is undoubtedly one of the most spectacular villages in La Serrania de Ronda. Just 20 mins drive away, Cloud House Farm enjoys spectacular views of the village through the different seasons. The name Genalguacil derives from Genna-Alwacir, meaning Gardens of the Visir, a must visit for any guests at Cloud House. The village has a bank, church, mini markets, bars & restaurants, of which El Visir owned by our friend Miguel offers some of the most inventive take on traditional Andalucian cuisine, with a choice of locally sourced vegetarian dishes through to wild venison, wild boar, duck and daily fresh seafood. If his food doesn’t wet your appetite, a generous measures of Hendricks Gin certainly will. There is also a bank, chemist and a limited postal service. A 24hr medical centre is close by in the village of Algatocin. Genalguacil can easily be reached either from Ronda (45kms) or Estepona (37kms) on the Costa Del Sol, with Malaga airport just 2hrs away. 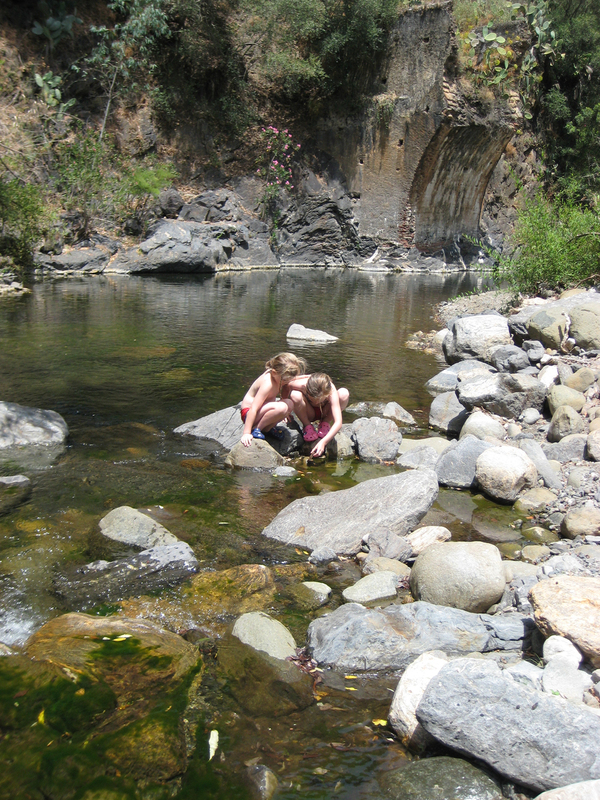 The Genal valley is literally bursting with some of the most spectacular river pools to be found in Andalucia. This is the undiscovered eden of Spain, the fact that the Genal Valley is a hot favourite for Spanish tourists down from Madrid is no accident. Secret hidden riverpools can be discovered while River Walking through the Rio Genal & Rio Almarchal, the latter of which boarders Cloud House Farm on its north side with pools as close as 10 minutes walk away! These hidden gems can offer total seclusion, and a fabulous opportunity to encounter nature first hand. 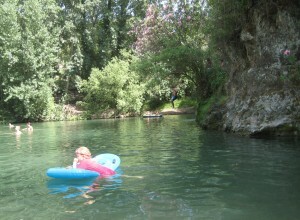 Check out our Cloud Adventure page for more information, or alternatively visit Walk Andalucia for river routes. 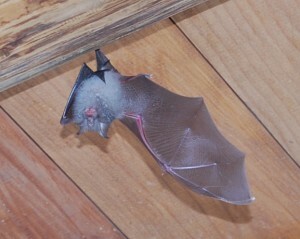 Cloud Bat hanging out in the bathroom! Usually more at home cruising for insects on the terrace, this adventurous bat last night took up residence in our farm house bathroom!